Over 350 library advocates, including about 40 people from Maryland, visited Washington, DC on April 23rd and 24th for National Library Legislative Day. Advocates learned about key federal legislation with impact on libraries and visited with members of Congress and their aides to discuss these issues. Library supporters who could not come to Capitol Hill were encouraged to participate in the Virtual Library Legislative Day, which resulted in over 300 messages sent to legislators, plus phone calls and contacts via social media. Key issues included asking for support for full funding for the Library Services and Technology Act (LSTA) and full funding for the Innovative Approaches to Literacy (IAL), a source of dedicated funding for low-income school libraries, as well as bills to work toward filling Freedom of Information Act (FOIA) requests more quickly and providing free access to taxpayer-funded research. Maryland’s legislators and aides overall expressed great support of libraries and recognized their value. Our efforts served to grow the connection with Maryland’s members of Congress and will serve to assist with advocacy efforts throughout the year. 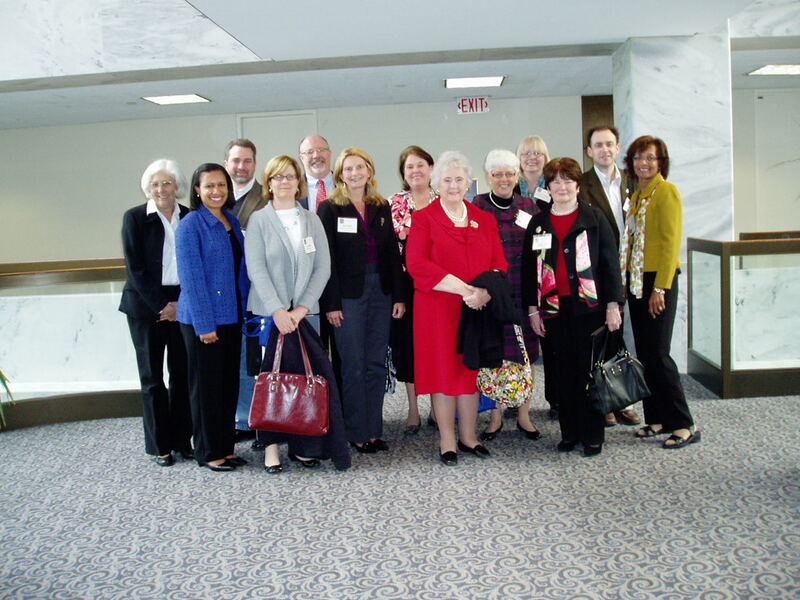 Library advocates who visited Senator Mikulski’s aide are pictured below. Additional photos from this event (including a few advocates from Maryland!) appear on the American Library Association’s National Library Legislative Day web site. Many thanks to all who participated in this important federal advocacy event—both in person and virtually! This year’s National Library Legislative Day (NLLD) and its Virtual counterpart were again a success! Over 350 members of the library community from across the country participated in this annual event. Many others who could not make it to Washington, DC contacted their legislators by e-mail and phone. About 30 members of the Maryland library community visited Capitol Hill to meet with members of Congress and their aides to encourage support of libraries. In particular, people asked for support for full funding of the Library Services & Technology Act (LSTA), dedicated funding for Improving Literacy Through School Libraries (ILTSL) and including an effective school library program in the reauthorization of the Elementary & Secondary Education Act (ESEA). Legislators and aides expressed support of libraries and, in several cases, understood the value of libraries. More importantly, good connections were made, which will help with advocacy efforts throughout the year. Action Alert! Virtual Library Legislative Days, this week! Contact your federal elected officials as part of the Virtual Library Legislative Days any time during the week of May 9th! This is a great opportunity to participate in a national advocacy effort, even if you can’t make it to Washington, DC for the American Library Association’s (ALA) National Library Legislative Day on May 10th. For more information, including talking points, see the Capwiz Action Alert.